South Africa’s central bankers will have a hard time ignoring the political storm brewing around them when they meet on Thursday. The rand has dropped 4% since the beginning of the week after reports that President Jacob Zuma is planning on firing Finance Minister Pravin Gordhan. 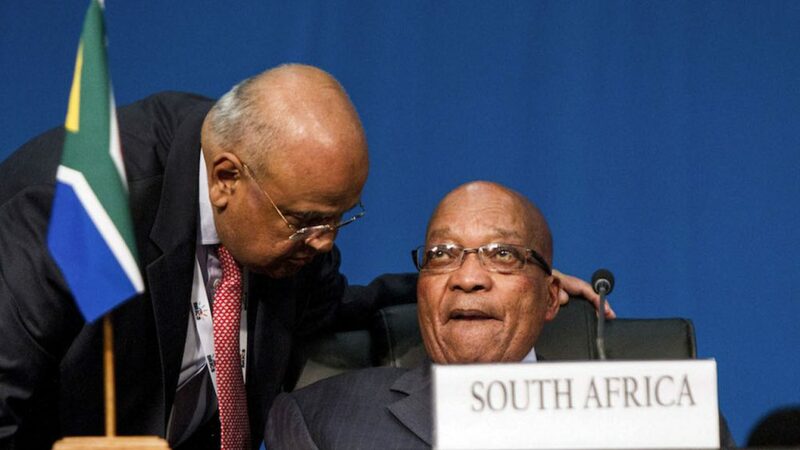 Zuma reportedly told senior officials of his plan on the same day Gordhan was ordered to return early from a trip to London, where he’d been drumming up support from foreign investors. Why such a sharp market reaction over a political squabble? For starters, as an emerging market economy, politics in South Africa matter at least as much as the country’s economic fundamentals. Both political heavyweights, a senior South African banker likened the tussle between Gordhan and Zuma to an “elephant fight”, and the effects have certainly been felt. But beyond this, Pravin Gordhan’s departure has cast uncertainty over the stability of Africa’s largest economy. Mr Gordhan has been hailed for reining in spending, fending off a junk credit rating and restoring confidence in South Africa’s shaky economy; his abrupt departure from investor talks on Monday does little to maintain this confidence. The central bank will try and ignore these developments and keep their eyes firmly on South Africa’s economic fundamentals, meaning an unchanged interest rate of 7% is likely.